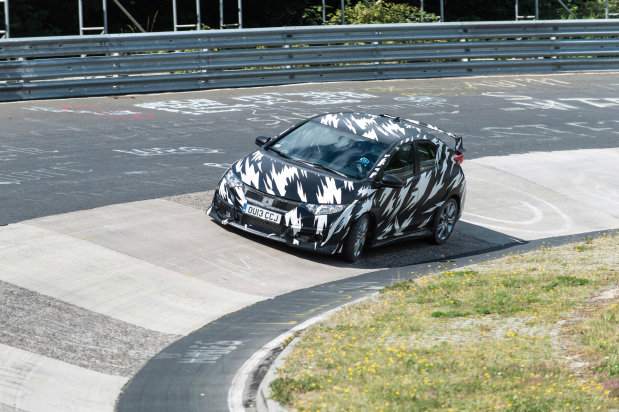 Some more information has come through regarding the next-gen 2015 Honda Civic Type R. Honda has announced testing and development on the project is well and truly underway. 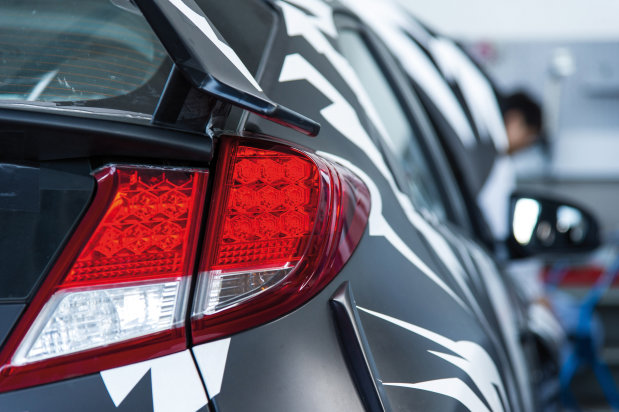 Honda may not actually be showing off the production form of its upcoming Euro-only 2015 Civic Type R at the Frankfurt Motor Show this year, but it did take advantage of the focused media attention to make a pretty cool announcement. 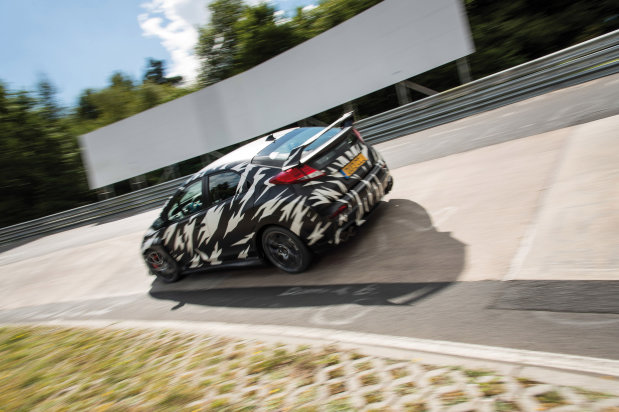 In addition to dropping a new video of the new Type R testing at the Nürburgring Nordschleife, Honda Europe president Manabu Nishimae gifted us with some juicy details about the coming hot hatch. Nishimae confirmed rumors that this Type R would make use of a turbocharged 2.0-liter engine, while telling us that the mill would be good for an output of "at least 280 PS." A raw conversion from PS (metric horsepower) to standard horsepower gives us a figure of about 276 hp, or very near the rumored figure of 300 galloping, front-wheeled ponies. 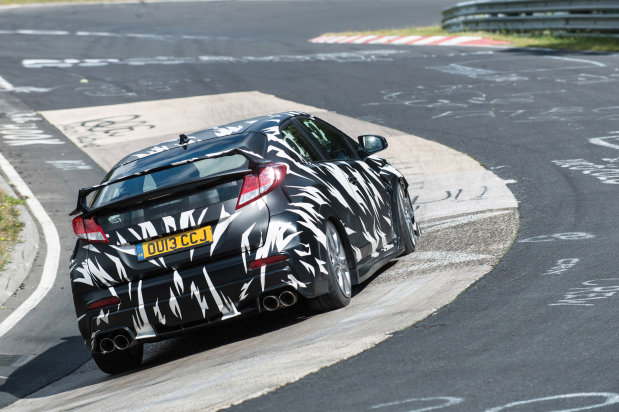 The company will need each ounce of output from its new 2.0-liter engine if it is to meet its stated performance target: making the Civic Type R the fastest front-wheel-drive production car around the 'Ring. Apparently this last session of testing, with World Touring Car Championship driver Gabriele Tarquini at the wheel, has already gotten Honda close to the lap record. Scroll down to read Honda's brief press release about the upcoming Type R, and, more importantly, to listen to the car as it's throttled around the track. 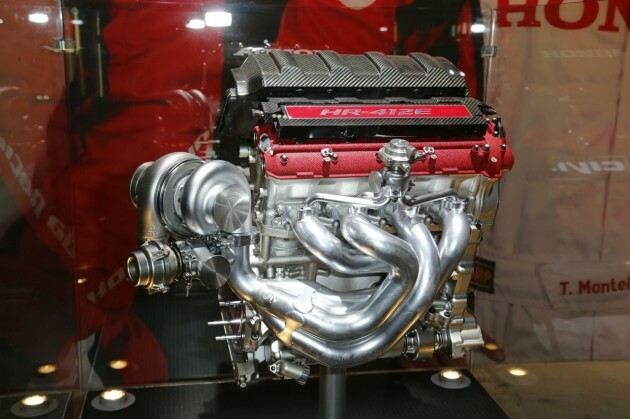 Now, we were given a sneak peek at the possible foundations of the new unit when Honda displayed a 1.6 turbo racing engine at last year’s Paris Motor Show (below). Last year, Honda confirmed the introduction of an all-new Civic Type R for Europe. 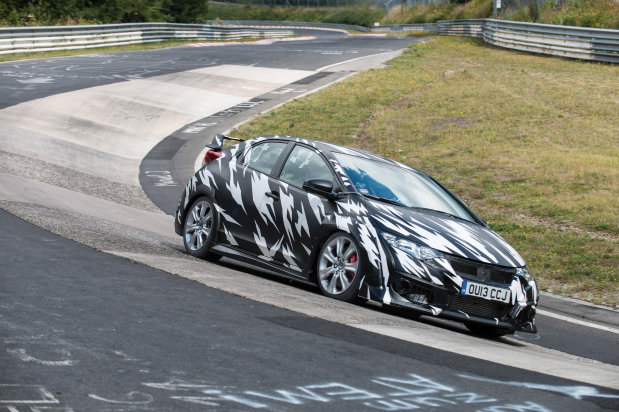 With the application of technologies from Honda’s World Touring Car Championship Civic, development is progressing well and today, Honda announce that testing at the Nurburgring for the new model will begin in 2013. Last edited by BoostedK20; 09-13-2013 at 10:56 AM. Factory turbo'd Civic? Me likey!